The day before we fled and went into hiding we trashed the house. We yanked out drawers, scattered clothes, flung books, overturned chairs and generally made the house look like it had already been ransacked in case the roaming mobs broke in later on. My partner stopped me when I wanted to add some smashed plates and broken glass as a final touch to our ruse. After that day we moved a few times and rarely ventured outside and never at night when the streets turned into a scene from Dante’s Inferno with burning tires and the sound of gunfire and improvised mortars. It was a month before we were finally able to reach the airport without tempting a very bad outcome. I was still expecting something to go terribly wrong at the last minute but the wheels of the plane did finally rise from the tarmac with me buckled into my seat. I pressed my face against the window and watched the beautiful emerald landscape of Nicaragua receding below me. I felt acutely sad more than relieved and I knew it would soon get a lot worse for the people I was leaving behind. I am thousands of miles away now, strolling down the shady gravel paths of an old cemetery in Portugal. I like old cemeteries. The well-tended ones, the weedy and forgotten ones. They have stories to tell. On Block Island the foreboding slate grave markers are often just memorials because the inscriptions read Lost at Sea. In central Havana the elaborate white marble mausoleums that sparkle in the Caribbean sunlight are such conspicuous displays of wealth it makes you wonder if people still want to show off even after they’ve left the mortal realm. One of my favorites is a small cemetery hidden away in a wooded glen in West Tisbury. I discovered it when chasing Ralph Packer’s errant cows one day but I won’t divulge the exact location. Cochin, India, the tiny island of Nevis and even Harbin, China to name just a few, have clusters of headstones displaying the Star of David. 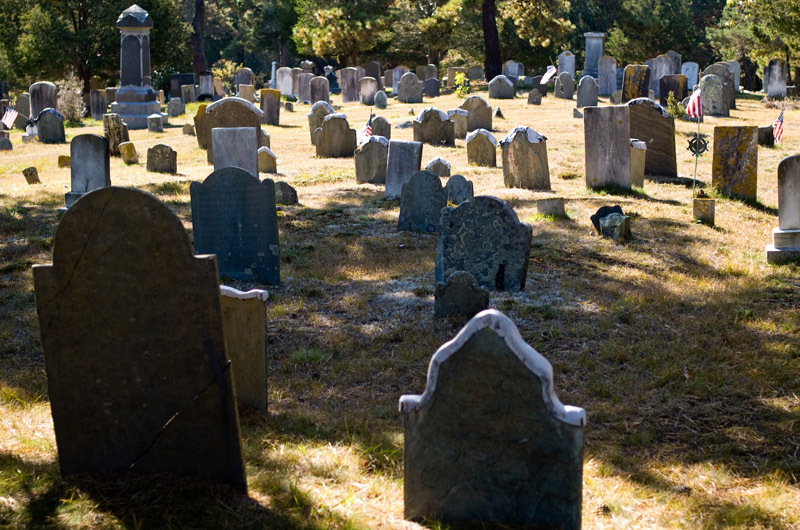 Similar cemeteries have since been desecrated over and over into oblivion. Those that remain tell the story of a vast diaspora. I wasn’t far into my walk in Portugal when suddenly, without any warning I’m yanked back to Martha’s Vineyard. Etched in stones all around me are family names I recognize, so many I stopped counting. I was aware of the migration of Portuguese (mostly from the Azores and Cape Verde) to the Island, but the familiarity of so many familiar names stunned me. I sat down on nearby stone bench shaded by old tree to think about it. When I emptied my house before leaving the Island last May I came across a copy of my paternal grandfather’s naturalization papers. They were dated August 30, 1929, exactly 25 years to the day before I was born. He was required to attest and sign a statement that he was neither a bigamist or an anarchist. He was neither but instead, was already a successful merchant with a general store in New Jersey. I imagine he was proud to finally be an American citizen but I’m just projecting. He died less than five years later during the height of the depression, barely middle-aged. I am the descendant of immigrants on both sides of my family. It’s hardly a unique story. Between 30 and 40 per cent of Americans today can trace their origins back to at least one ancestor who passed through Ellis Island which closed in 1954, the year I was born. My story is commonplace unlike several Vineyard families who can trace their ancestry in a straight line all the way back to the 17th century without straying from the Island. I sat in the shade and mulled this over. Immigration was the obvious foundation of the modern United States but these days it is part of a swirling and vicious debate. Maybe it always has been. As a youngster I was taught that the country was a melting pot which sounded pretty good to me but they never included words like xenophobia or racism and all the many slurs and epithets that were also thrown into that pot. I learned all about the Mayflower, Manifest Destiny and the Louisiana Purchase but they basically wiped clean the record of what happened to the Native Americans. Wrestling with the issue of immigration is a complicated endeavor. It is painful to watch as the country writhes and flounders against a backdrop of rising racism and violence. I also never imagined that one day I would live to see people marching in the United States with flags adorned with swastikas. My uncle George was perhaps the most overtly proud American citizen in our family and for good reason. He was also the only arch conservative among us. At the end of World War II he was arrested in Budapest by Russians soldiers and sent to Siberia to serve a 10-year sentence in the Soviet gulag system. He was 16 years old at the time. He’d never let you forget that America was the greatest country in the world but he didn’t always feel that certain immigrants should be allowed in. The population of the country is now more than three times what it was when waves of immigrants disembarked at Ellis Island. This may have something to do with the fact that more Americans no longer view it as the land of opportunity it once was and it is easy for the stress of that sentiment to turn to anger directed at different ethnic groups. The paradigm of what was called the American Dream seems to apply to fewer and fewer as the middle class gets squeezed harder and harder. We do need a comprehensive, enforceable immigration policy, that much is clear. Simplistic solutions, although tempting to some, should not be part of creating such a policy. And more than anything, a wall is not a policy. Having stopped to reflect on all this, I continued my walk in the shaded necropolis overlooking a river in Portugal. The troubles of Nicaragua, my current home, seem far away and even though I knew I would return I wasn’t sure whether my entry back into the country would be assured. Was I becoming an immigrant too? It hadn’t occurred to me before. But at least for now, I felt safe. A former longtime resident of Chilmark, Robert Skydell makes his home in Granada, Nicaragua. Beautifully written article. Immigration is key to a diverse healthy society. Hatred and xenophobia have no place in America. I am glad you are safe Bob. I am sorry for all you have been through.i wish you the best in your travels. I agree with Susan, this is a beautifully written article that I wish more people could read and understand that this was the way our country was and wish it would continue that way. And you are totally right Robert, a wall is not the answer. Wish you well, Bob. And I hope peace will come soon to Nicaragua.